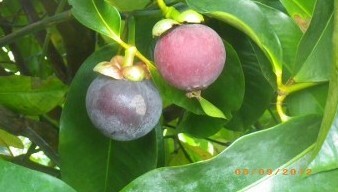 The Panoramic Fruit Company is an exotic fruit farm located in western Puerto Rico. 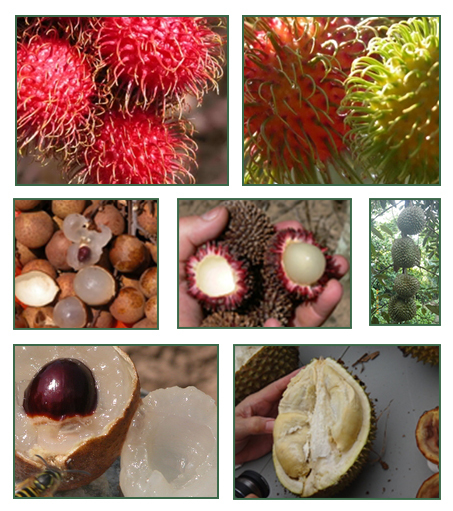 We started in 1994, and after many trials and numerous errors, we are now supplying rambutan, mangosteen, achachairu, longan, durian and other fruits in wholesale quantities. Starting in the summer of 2003, we had our first rambutan harvest available for sale to wholesalers in Puerto Rico. And, starting in 2011, we received permission to ship fresh rambutan to the lower 48 states! The quantities available continue to rise each year as the last trees to be planted come into production and the older trees increase their yield. There have been setbacks due to Hurricane Maria and this has caused significant reductions in harvest tonnage but I am hoping to restore the farm with help. See the page on Farm Updates and Hurricane Maria. And please consider donating to my GoFundMe campaign after reading about the sitaution on the GoFundMe page on this site. In 2011, Puerto Rico received permission to ship rambutan to the lower 48 states but during the 5 1/2 year process to get permission, demand on the island increased and it never became practical or competitive to ship off the island. After Hurricane Maria, this was even more true because the island lost a very large percentage of local food production capability due to a day of hurricane force winds. At higher altitudes, winds gusted to 185 mph. Not much can stand up to that. The last major hurricane was back in 1998. In the past century, major direct hits have been sporadic but restoration can help to rebuild the locally grown food supply. I am hoping to replant the farm if possible. Please direct wholesale inquiries to wholesale@panoramicfruit.com or call Robert Luciano at (787) 672-2134. Rambutan availability is going to take years to return to previous levels but, the sooner replanting begins, the sooner self-sustaining supplies of local produce can resume. Better local fruit means less reliance on offshore marked up food for Puerto Ricans. And better quality. There is some durian available in August through September each year and our longan is available in wholesale quantities from late August to October, later than most of our other fruits. This is a somewhat fragile tree, so we are hoping to see some fruit every year—but any mild wind storm could change this with lowered tonnage from damage to branches. Contact us for additional information or to learn more about the history of Panoramic Fruit! Foreign customers may obtain a USDA transit permit that allows us to ship from Puerto Rico to any international buyer outside the US. From San Juan, Puerto Rico, rambutan can be shipped to Britain or Japan or just about anywhere. To reach the Caribbean islands, rambutan can be trucked to Mayaguez, Aguadilla, or San Juan and flown to its final destination. Rambutan can be picked and on its way in 48 hours. Inquiries welcomed!